The Star Wars universe is filled with amazing and varied characters: crazy aliens, rogue pirates, beautiful princesses and dashing heroes. These characters find their full form through dialogue, makeup and costume. Fans have come to love the series because they instantly recognize individual characters and their stories whenever they grace the screen. The Hollywood Costume exhibition provides an exciting and illustrious glimpse into the Star Wars costumers’ minds with Aggie Guerard Rodgers’s Han Solo costume from Return of the Jedi and John Mollo’s Darth Vader costume from The Empire Strikes Back. 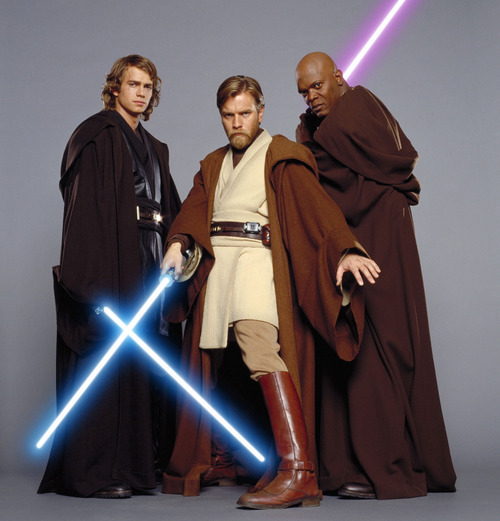 If you want to learn more about the costumes of Star Wars, the Margaret Herrick Library holds a spectacular, limited and numbered edition of Dressing a Galaxy: The Costumes of Star Wars by Trisha Biggar, preface by George Lucas and foreward by Rick McCallum. 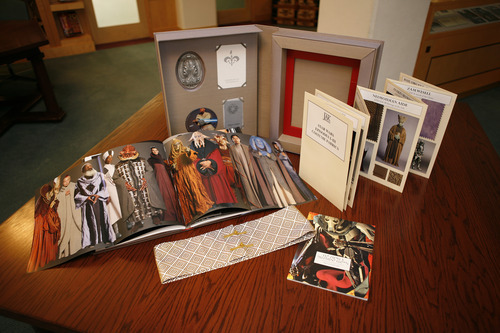 This exhaustive volume, which focuses primarily on the prequel films, includes six bound-in booklets on the Jedi council, royalty, military, senators, rogues’ gallery and farmers; an insert depicting costume evolution inside the costumers’ workshop; detailed photos of headdresses, footwear and jewelry; insights into the costumes of classic characters; a costume index by character; and best of all, an examination of Darth Vader’s distinctive look. 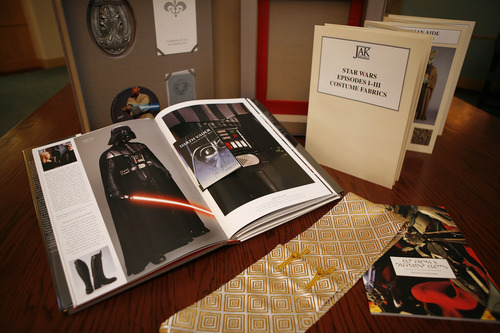 Star Wars costuming, as well as the history of the Star Wars franchise, is well represented in the library’s collections as the subjects of more than 200 books, periodicals, scripts and posters; hundreds of photographs; special collections materials such as sound and recorded music; blueprints; and much more. 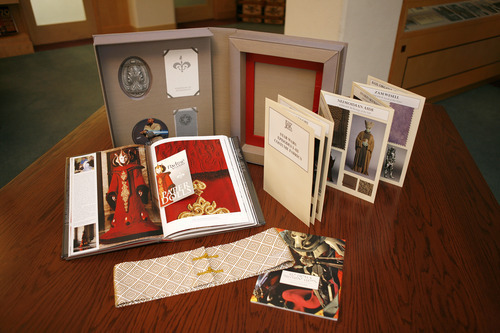 For more information, please visit the Margaret Herrick Library’s website.